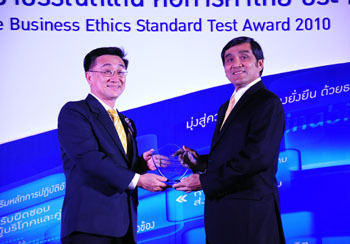 Dr.Sopon Pornchokchai, President, Agency for Real Estate Affairs (AREA) received a plaque of appreciation from the Thai Chamber of Commerce (TCC) as a judge for the Ethical Award of the TCC. 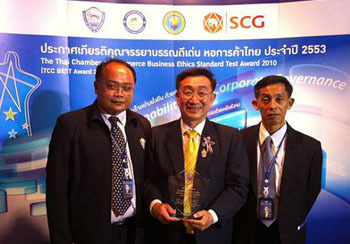 Dr.Sopon is a board of the TCC on Ethics. AREA was an award winner in 2005 as well.